We’ve met the jaguar yesterday and today we’re off to find another animal that calls Brazil home! These super cuties are often called rodents of unusual size! Hahaha! Let’s meet the capybara! 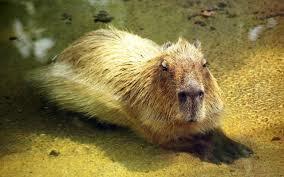 Capybaras can be found in Central and South America in marshes, ponds and lakes. They can grow up to 4 feet long and weigh up to 150 lbs. 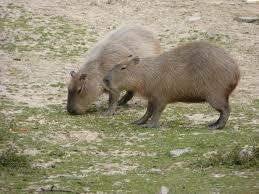 Capybaras are herbivores. They eat grasses, plants and fruit. They eat up to 8lbs of vegetation a day. They are excellent is swimmers and often spend most of their time in water. A capybara’s eyes, nose and ears are on top of their head. This allows them to just have those body parts above the water while their bodies are underwater. Their teeth grow throughout their lifetime. Capybaras chew their food from side to side. Capybaras live in small groups. 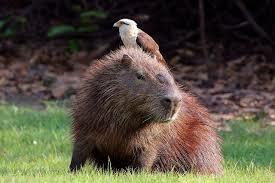 Capybaras got their name from the Tupi people of Brazil, an old native tribe of Brazil. The name means “grass eater”. 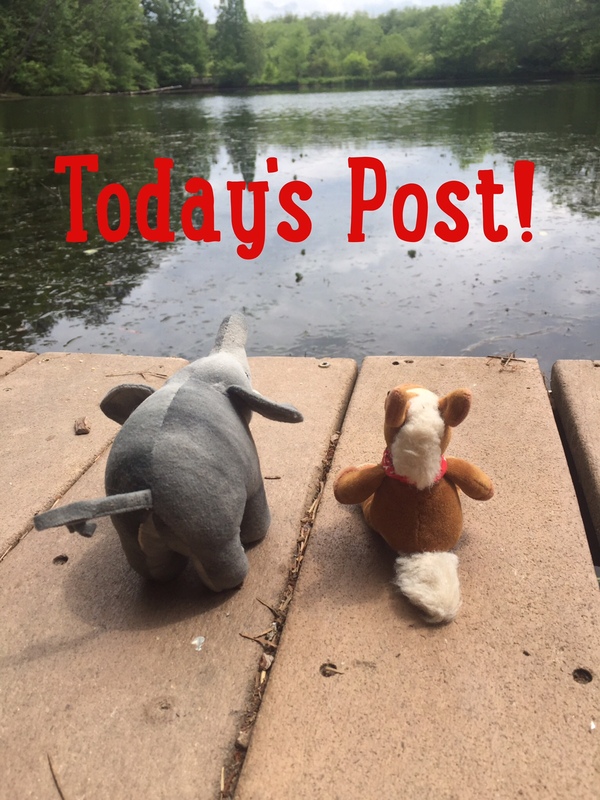 These furry little rodent pigs are so fun to watch! Who doesn’t love them? We know we do! !